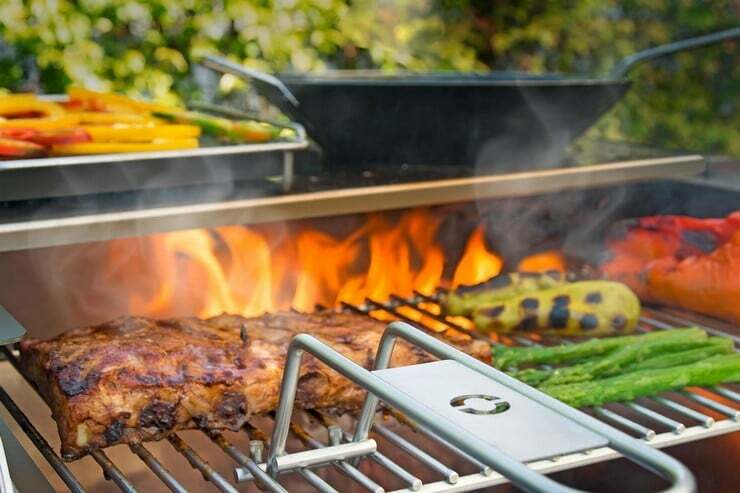 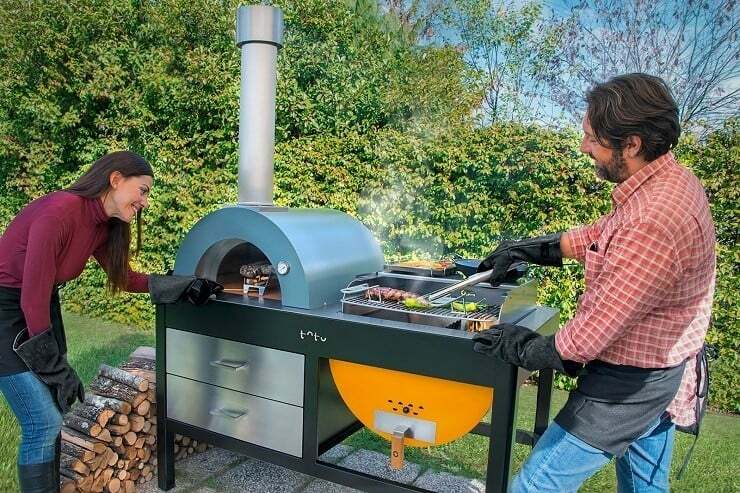 While the casual backyard griller may be content with a fire box on wheels, a truly great outdoor kitchen needs to be a versatile food preparation area. 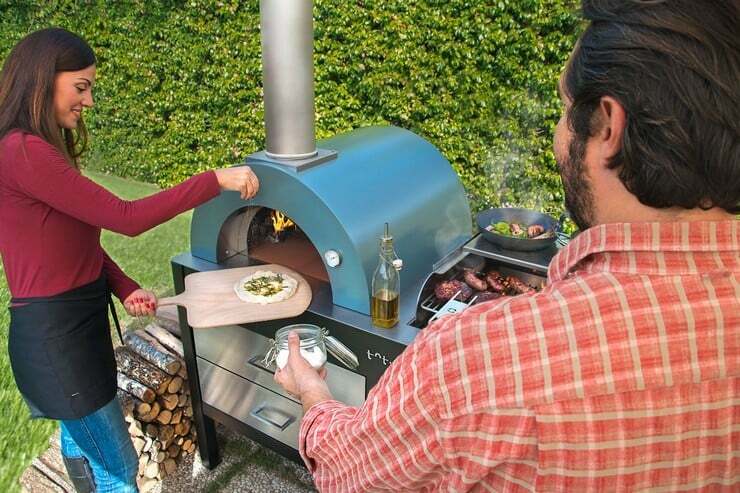 Italy’s Alfa 1977 has created an excellent combination grill and pizza oven for your al fresco delight. 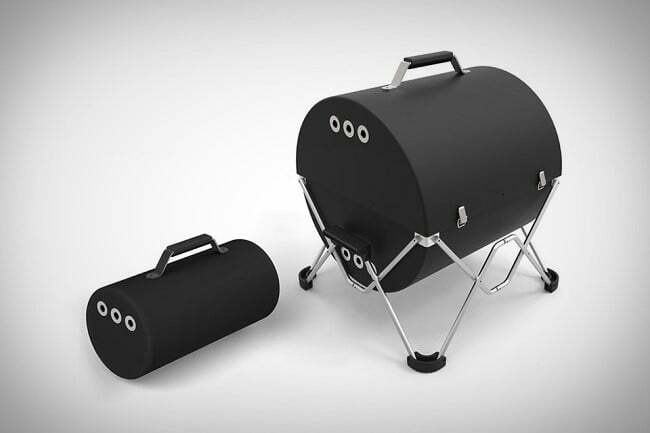 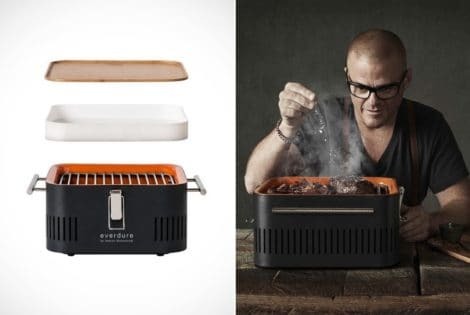 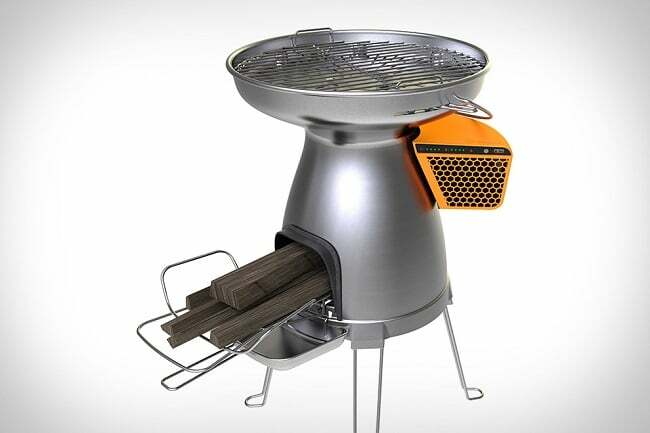 The Toto Grill Oven ($TBA) has a grill side to the right that works with either charcoal or wood. 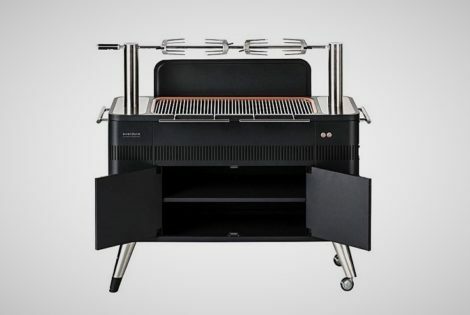 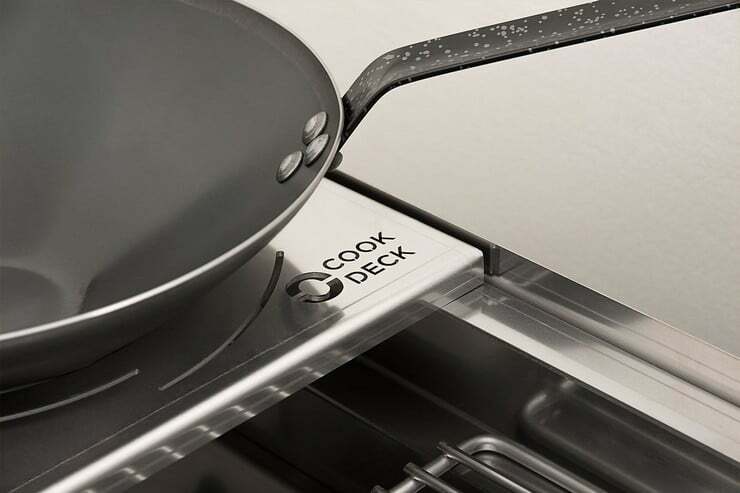 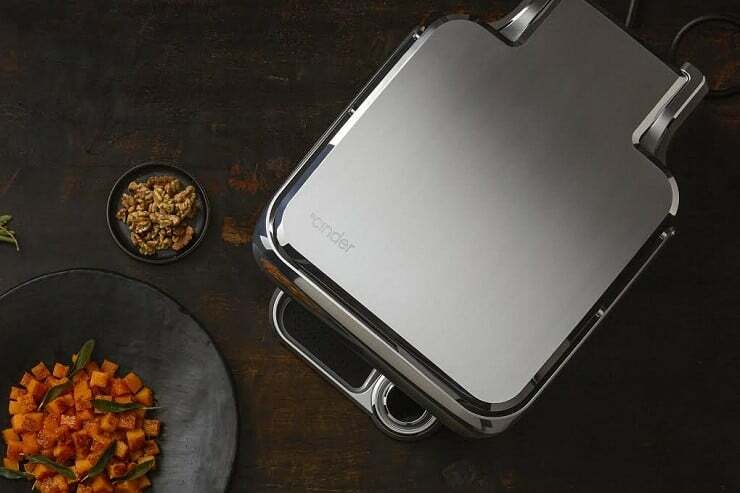 The 24″ x 24″ grill area also features a cooking deck for pots and pans and even has a special holder rack for using a wok. 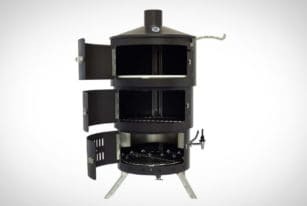 To the left side of the Toto Grill Oven raises the dome of the enclosed steel oven. 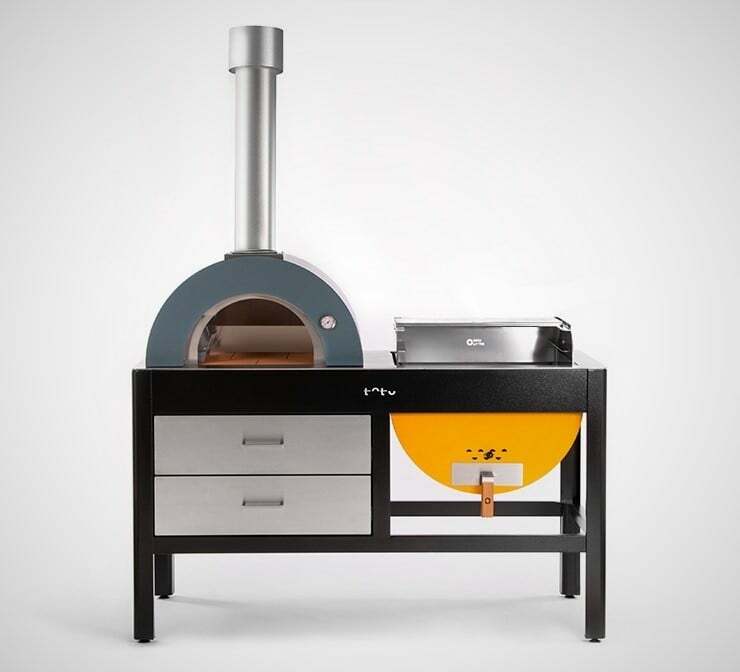 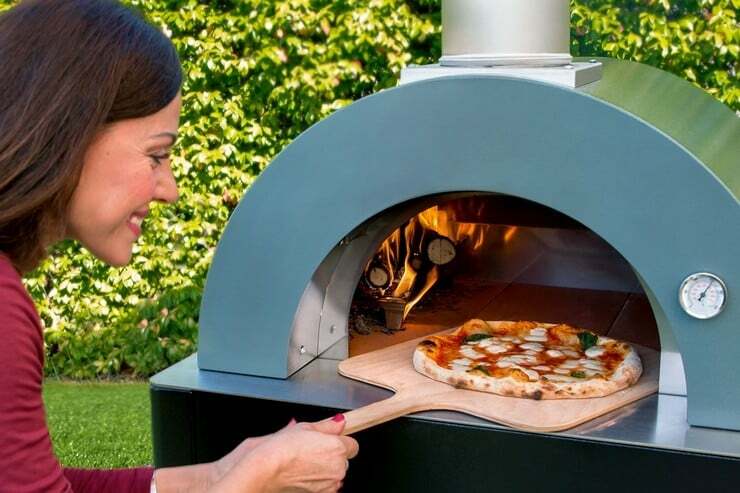 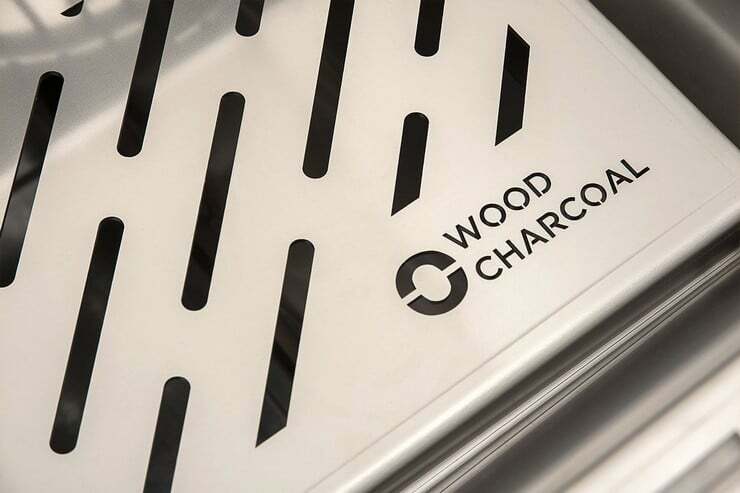 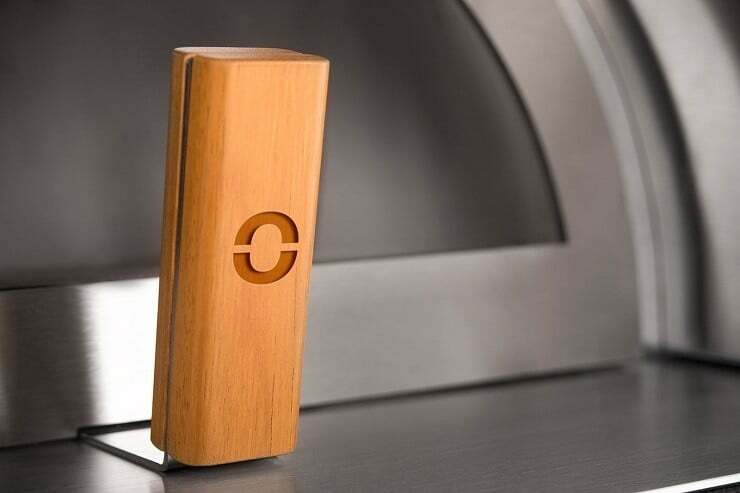 At 24″ x 20″ it uses wood exclusively but can reach temperatures in excess of 750ºF; perfect for bread, pizza, or baked meats and vegetables. 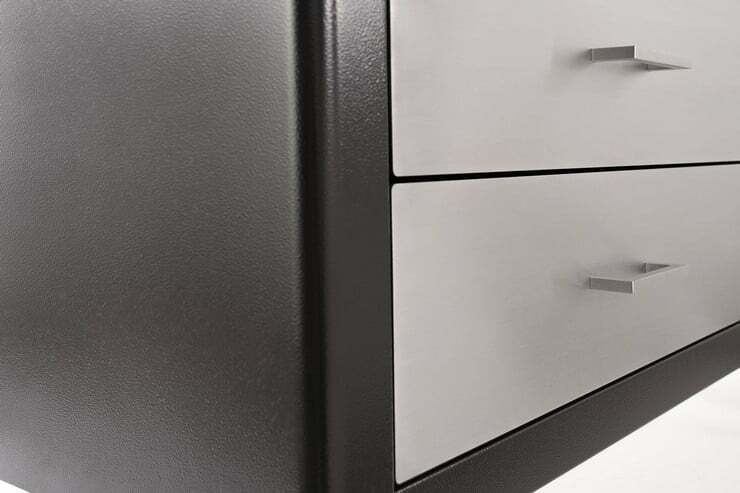 Under the oven are two utility drawers for storage. 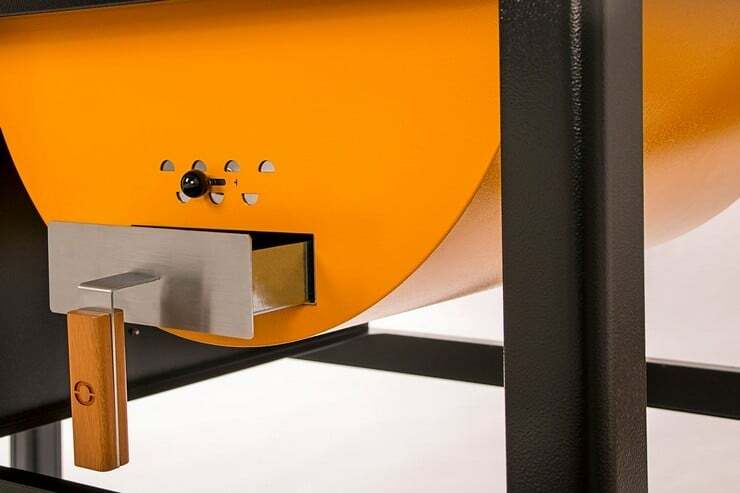 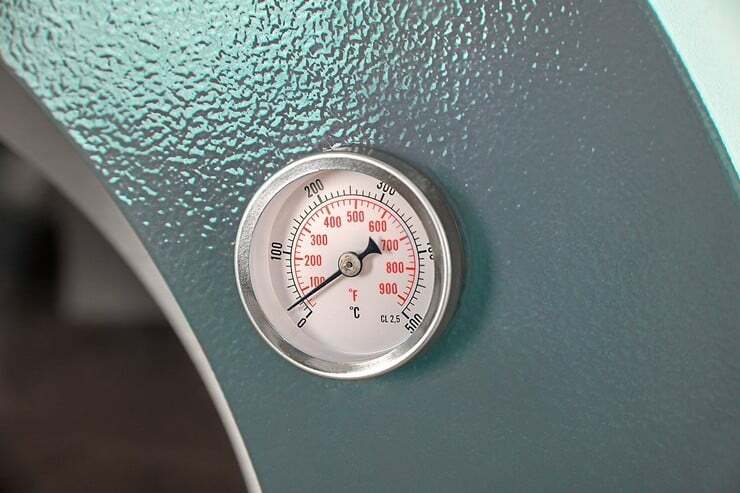 The 1/10″ steel the Toto Grill Oven is made from has been weatherproofed with seven layers of paint and it is accessorized with wooden handles. 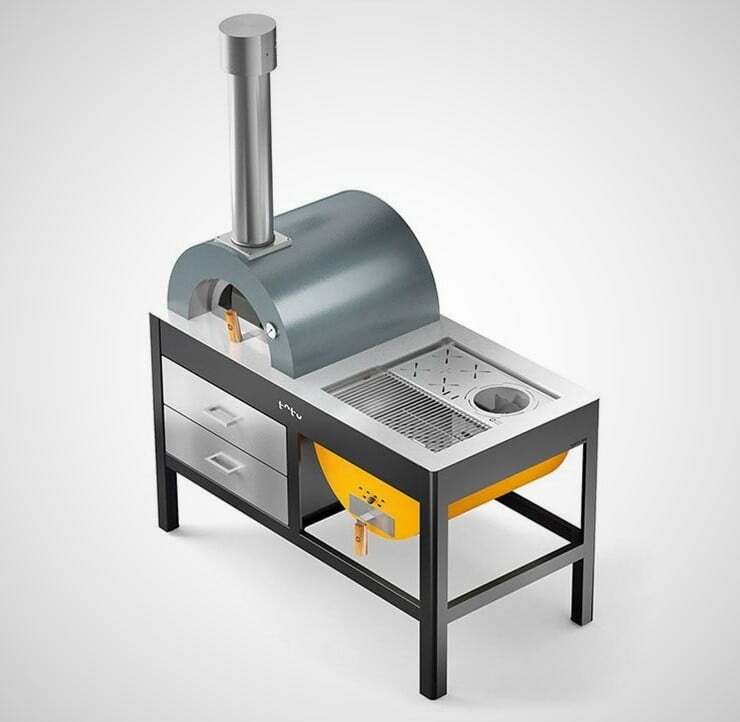 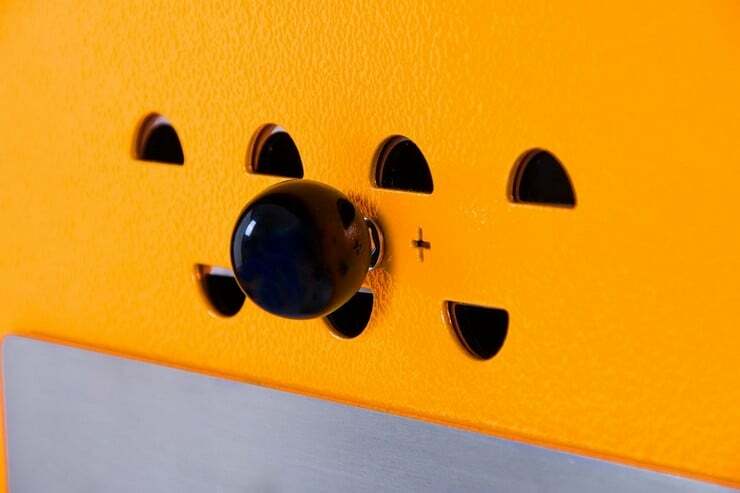 On top of such convenience and utility, this multi-purpose outdoor kitchen appliance lends a touch of brightness with the grill hub being painted sunshine yellow to compliment the steel, gray, and slate-blue of the rest of the unit.